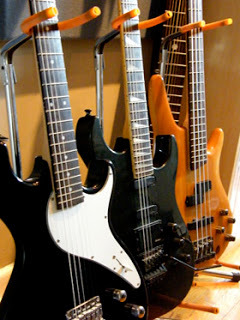 Getting paid to compose music is every hopeful music composer/producer’s dream. Some make it into a full time job, others land one or two gigs and sees their dream fade away, yet others never even get a single paid music composing gig and give it up work in an office instead. Sad, but true. 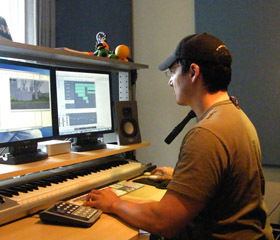 In this article, our contributing writer Richie Nieto shares some tips and advice for the would-be full time video game composer or film/TV composer on how to behave and interact towards your client. So you have finally landed your first paid gig as a video game composer. The first thing you do is call all your friends and try to excitedly explain that you’re going to work on a real game, but you can’t really talk about it because of the Non-Disclosure Agreement you just signed. After the initial rush of joy, you start to realize that you haven’t really done this before. Not the composing part — you got that down pat, no problem! It’s the part about working with a live, breathing, paying client that you start feeling nervous about. A lot is riding on this; someone has money to lose if you don’t deliver what is asked from you. You can easily ruin your reputation even before you start building it. Panic sets in. Remember that most clients are just like you. They want to make a living doing what they enjoy, just as you do, and they also have a lot of concerns about working with someone for the first time. They want to be certain that you are responsible, efficient, organized, cool under pressure and hopefully fun to work with. You ability as a composer is a given by this point. They have your reel, they’ve listened to what you can do, and they have agreed to your rates. The focus now is on work dynamics. First things first. Communication is paramount. Make sure that you put together a contact sheet with all the phone numbers and e-mail addresses of all the people involved in the audio for the project. Be sure of who you report directly to and who gives final approval of your music, but never dismiss anyone as unimportant for any reason. You can’t possibly know if the opinionated guy in the background is a relative of the company’s CEO, so always be professional and polite to everyone. If you were not involved in the pre-production stage of the project, you should receive a music asset list, detailing all the cues you need to write and their lengths, a description for each one, if they are one-offs or loops, and the final delivery format. Ensure that the list matches your contract, and if it’s a longer list or it’s bound to grow later, ask for an addendum to the contract that specifies that you will be paid for the extra music. It’s also very important to ask for any visual materials that the art department can provide, unless you’re composing to linear media (i.e. cutscenes or cinematics), in which case you will most definitely receive video to work to. A drawing or a short video clip showing how a character moves can suddenly trigger a bunch of ideas about the feel and direction of a music piece. If the descriptions on the music asset list are too vague or you’re still unclear about the music direction for any piece, ask for actual music references that you can listen to. 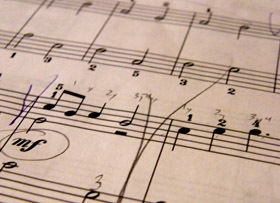 Some inexperienced composers are afraid that their client will think that they have no ideas of their own if they ask for a reference, and therefore, are not up to the task. 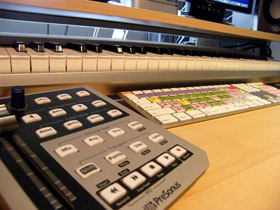 The truth is that using a reference, or “temp music” in film, is very common in most projects, even the really high-end ones. It saves time for everyone, which of course means money, and it makes the communication process more fluid, especially for clients who are not too familiar with musical terms. Along with a reference, ask the producer or director what they like about that particular reference piece that suits the scene or level so well. It’s easy to just listen to it by yourself and decide that, for instance, the tempo and the percussion’s energy is what you should go for, but it turns out that what the producer really liked was the melody instead. This seems very basic and rooted in common sense, but when you’re trying to come up with an idea quickly, it’s very easy to get on the wrong path if you don’t have enough information. Asking questions is a sign that you care for the project. If a client seems impatient about your inquiries, tell them politely that you only want to do the best for their project and that you want them to be happy with the results. Once you’ve finished composing a first pass of a cue, deliver an good quality MP3 to the appropriate team members through previously agreed-upon channels (FTP, e-mail, etc. ), along with a short explanation of key aspects that you would like to highlight about it. This can seem trivial, but don’t send a big honkin’ three-minute 24-bit WAV file for review — it’s a waste of time for everyone, and again, time is money. Always follow up after submitting any music or materials. If you don’t get feedback within a reasonable time period, try again. An e-mail lost in a Junk folder can mean the difference between a smooth project and absolute chaos if redundant measures are not taken. A single quick phone call the next day takes little time and keeps things under control. Always expect to have to write more than one pass for a piece of music. Only composers with a lot of experience who have previously worked with the same client for a while are able to consistently nail a cue right off the bat, and even then some tweaking may be required. Love your work, but do not fall in love with your music — it can get ripped apart if it’s not what’s needed for the project. Therefore, don’t take any requests for changes personally; it’s all part of the process and, after all, they are paying you. Even if you think their idea is ridiculous, give it a try. You may find that something really cool comes out of it. Unfortunately, there will be the odd occasion when you run into an unusually difficult client, who keeps asking for endless or unreasonable changes, or starts requesting fixes for pieces that have already been approved. Here is where a previous written agreement becomes invaluable. You can politely but firmly show to the client that their requests were not part of your contract and they will need to compensate you for the additional work. This can get tricky, especially if they have already dug in their heels, but in most of the cases it becomes a matter of re-negotiating, and both of you meeting halfway. It’s not ideal, but it certainly beats contemplating getting into a lengthy and expensive legal battle. Once all your music has been signed off on and your final mixes delivered, make a point of personally thanking everyone on the team for their work and their help. Without brown-nosing anyone, send a short email to the team highlighting a couple of things you enjoyed about working on the project. Some people who are starting out just disappear as soon as the last cue is approved and delivered, and while that isn’t inherently frowned upon, they are wasting an opportunity to leave a long-lasting positive personal mark on the client. Word-of-mouth is a powerful thing, and your reputation as a great person to work with can be spread around among a lot of potential clients very quickly. So, that’s about it. Good luck and have fun!